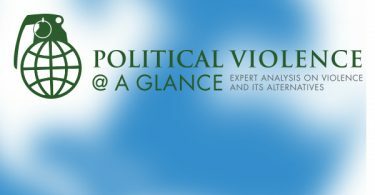 2013 was the first full year for Political Violence @ a Glance, and over the past year some conflicts around the world ended, others started, and still others ground on. Our team of contributors authored many articles, and our readership and Twitter following grew. We were also lucky enough to be voted the Duck of Minerva/Sage OAIS ‘Most Promising New Blog’ of 2013, which was an honor we cherished. 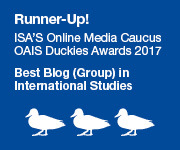 We’ve also been nominated for the OAIS Best Group Blog award for 2014. Two of our posts, “The Four Things We Know About How Civil Wars End (and What This Tells Us About Syria)” by Barbara F. Walter and “Researching While Black: Why Conflict Research Needs More African Americans (Maybe)” by Christian Davenport, were also nominated in the Best Individual Blog Post category. Again, thanks to whoever nominated us. Finally, we wanted to offer our heartfelt thanks to all our contributors and commenters. The comments are an important part of the discussions we hope to foster, and contribute to the simple, straight-forward analysis we strive to provide. May 2014 be a more peaceful year for all of us. 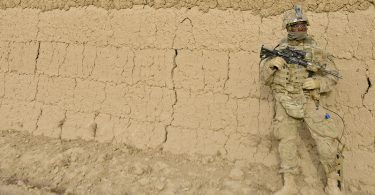 Is War Too Important to be Left to Social Scientists?